2012 July | in4med Inc. 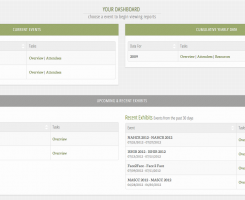 It is our pleasure to announce the re-design of our reports application! Through out the re-design process we made a point to focus on creating an application that was easy to use and visually appealing. Creating a better user experience started with establishing a couple key areas of improvement. These areas included easier data organization, adaptive layout for multiple devices, and better attendee profiles.